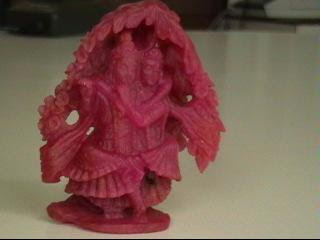 Beautiful Natural Ruby carved as a deity, Radha Krishna. 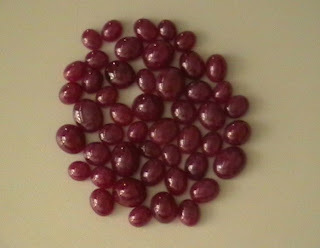 A Ruby cabochon lot with average size above 10cts. 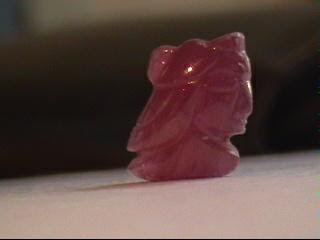 A beautiful expression of a woman's delicate yet resolute nature engraved in a Natural Ruby of 19.80cts. 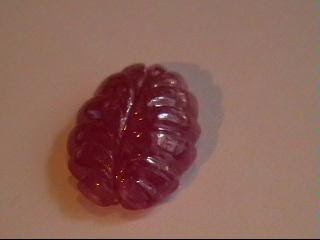 A Unique 4.75cts. 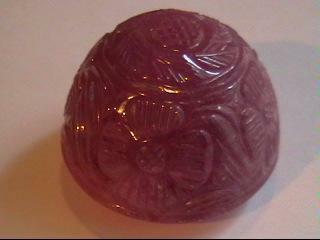 carved Natural Ruby from The Collector's Collection by K.K. Exports, The Ruby People, Jaipur. A 50.35cts. 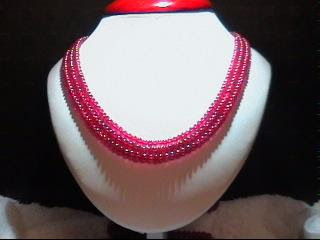 Natural Ruby engraved with the texture of Mother Nature depicting a peaceful symphony. Gothic touch to Ruby. 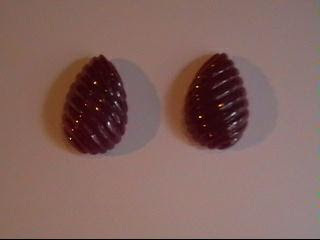 Ruby, The King of Gems depicting a level of being fierce, the dark color & the ripples carved across add to the the Gothic nature of this unique pair of Ruby. A unique 6.45 cts. 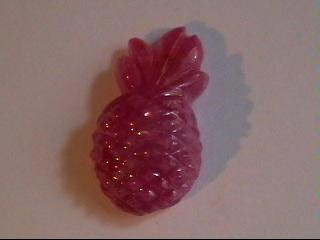 Natural Ruby carved in the shape & intricacies of a Pineapple, the Princess of Fruits. The Princess of fruits & The King of Gems in unique symbiosis and symphony. 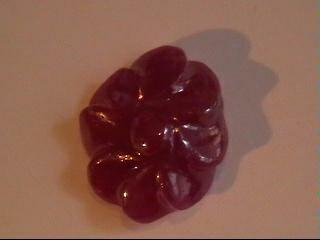 Ruby, the precious, red gemstone. titled as the King of Gems. 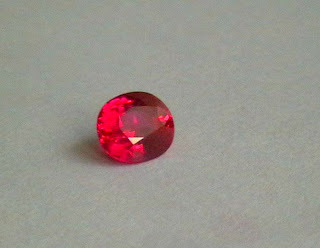 The richness of the red of this stone makes ruby a unique stone among the gemstone. 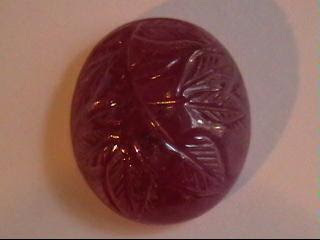 The stories behind this precious stone cover ruby with unveil myth. Rubies are today still more valuable and rare than the top quality colorless diamonds. 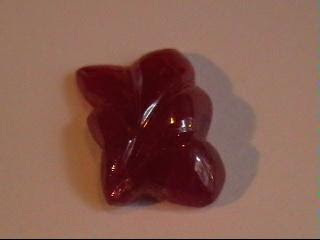 A practical reason for rubies popularity is related to its hardness. Ruby has a hardness rating of 9 on Mohs scale, second only to diamond. This makes it durable enough to adorn frequently worn jewelry items and also stand the test of time when passed from one generation to the next. 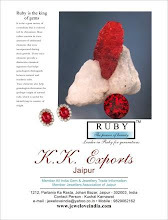 Furthermore, Ruby’s average size is also generally less than any other gemstone's and hence Rubies are the scarcest of all gemstones and command extremely high prices. 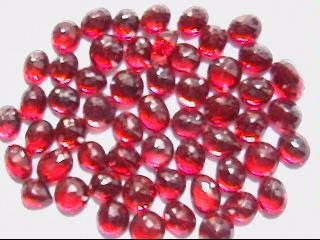 Burmese rubies tend to be the most sought after variety of ruby because of their superior clarity, hue and saturation. Ruby is the birthstone of July. Since Ruby represents romance and devotion, it is an excellent choice for an engagement ring. It is the traditional wedding anniversary gift for a couple's 15th and 40th and 80th year. Ruby, a precious stone that can never be overlooked. 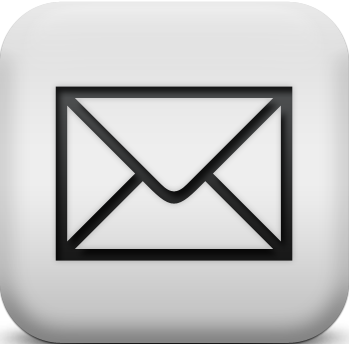 From the myth that covered ruby to the value that carried forward until now, we can hardly keep it out of our sight. A Legacy of Over 100 Years!